This week, I was very kindly gifted a tray of Zespri SunGold Kiwis. What’s a SunGold Kiwi? Well from the outside, it looks rather like your average kiwi fruit. 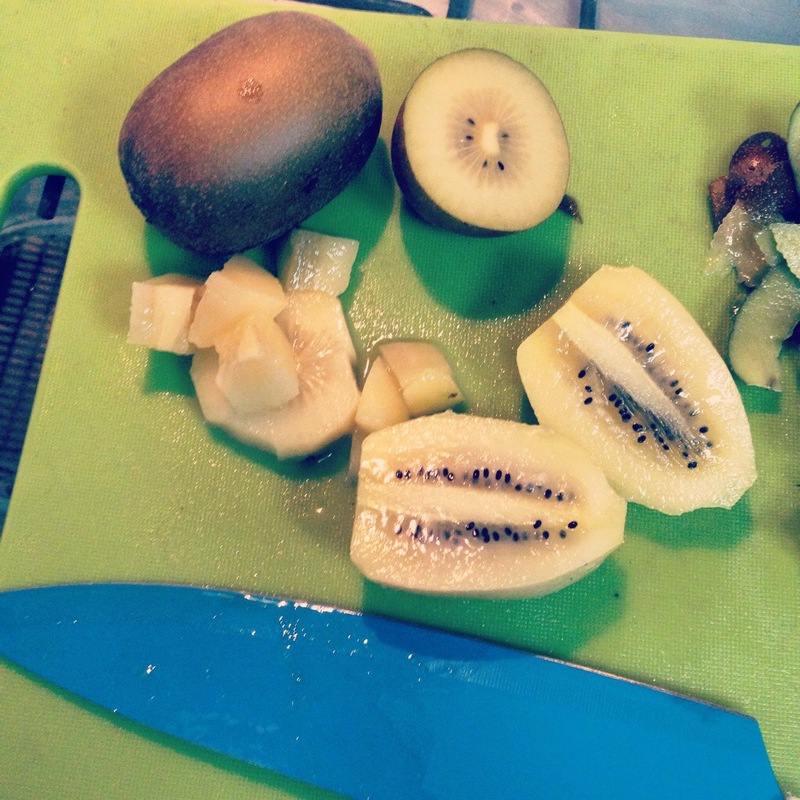 But when you cut a SunGold in half, my friend, there lies not green, but golden kiwi flesh. Well, yellow, if you’re going to nit pick. And why? Why would one choose a golden kiwi over a regular green one? I’ll tell you for why. Believe it or not, SunGold kiwi’s contain three times the amount of vitamin C as an orange. Boom. Slapped in the face with a vitamin fact. Health central. Getting ill? Forget loading up on oranges. Grab yourself a tray of SunGold kiwi’s. Now, while you can just enjoy the undeniable deliciousness of a sweet sweet SunGold kiwi on it’s own (weapon of choice: a teaspoon), sometimes it’s more fun to go a little off-piste. 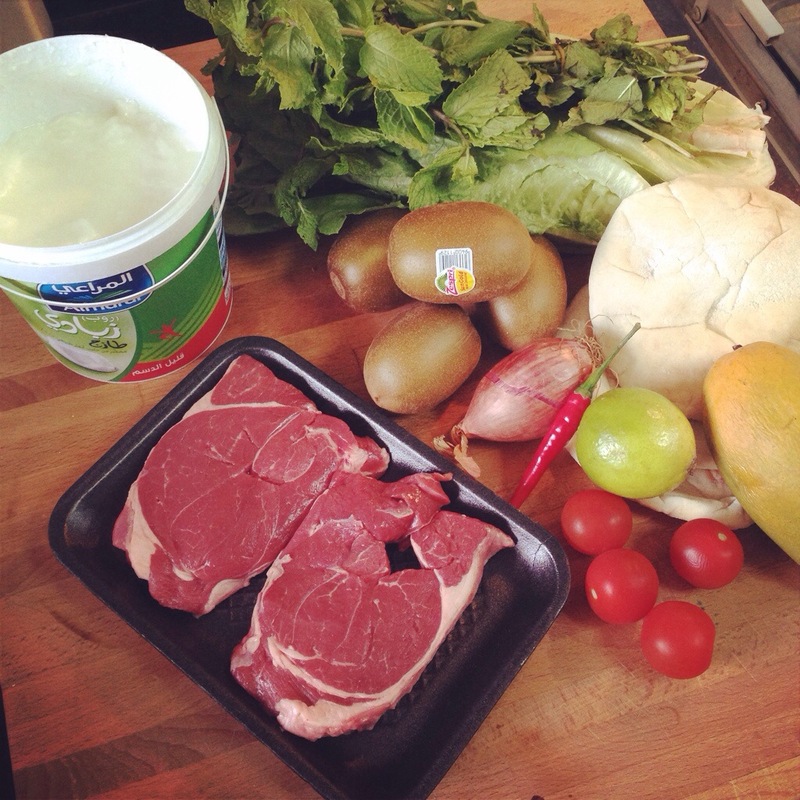 Which brings me to today’s recipe. 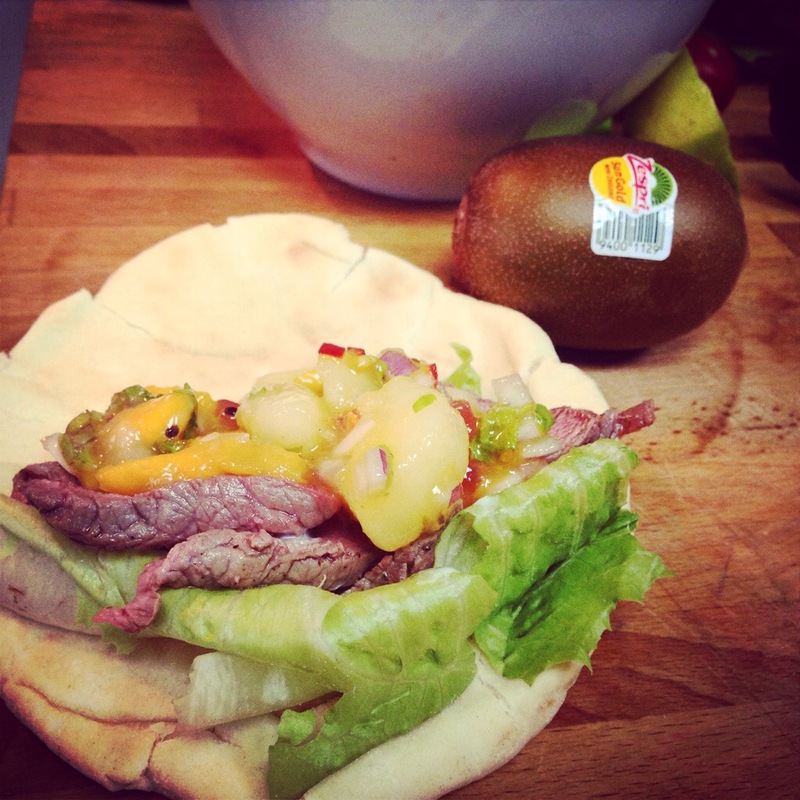 Not only does this contain golden kiwi, it also slots perfectly into my Ramadan health-kick challenge. 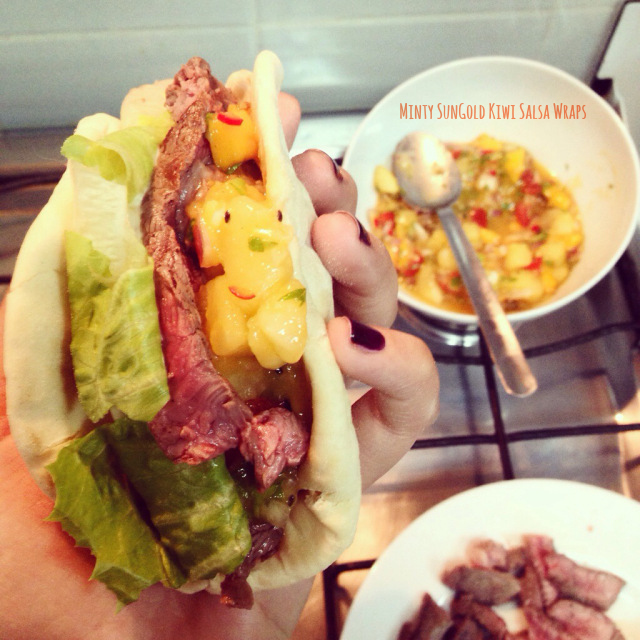 I knew I wanted to go for a savoury dish for round one of kiwi mania, and salsa seemed like the most obvious option. So that is exactly what I did. 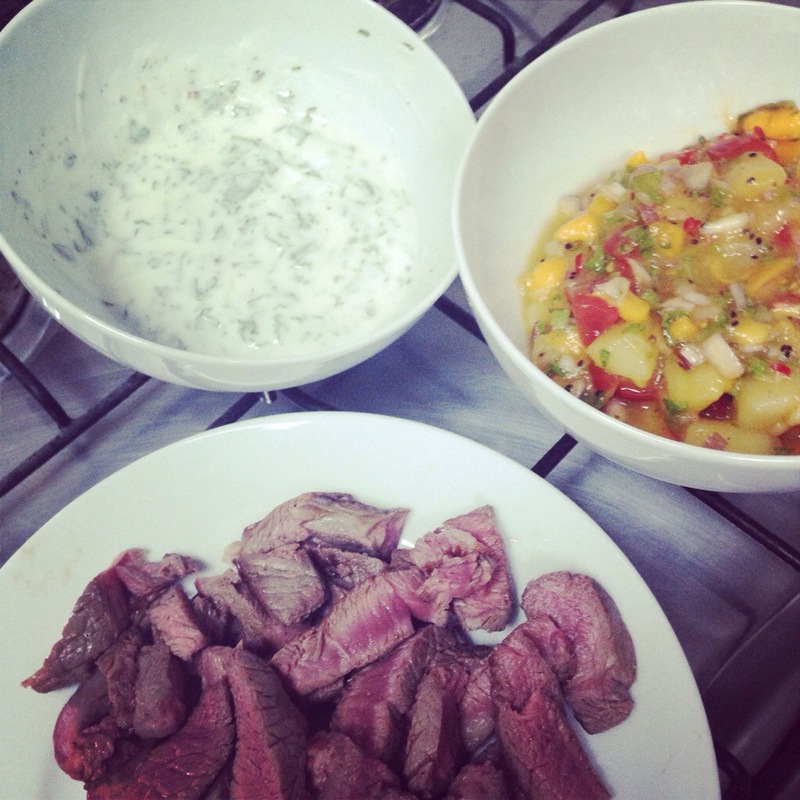 Lamb wraps, with SunGold Kiwi and mango salsa, and minted low-fat yoghurt. YUMMO. 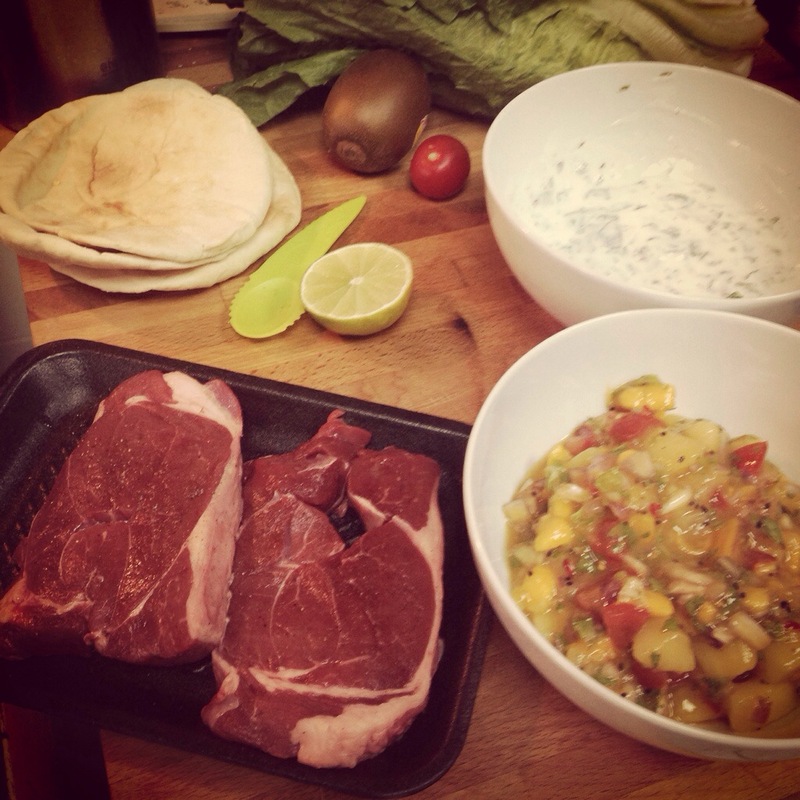 This is a bit of a fajita situation, in that my advice would be to grab some chums, pop all the wrap components in bowls in the middle of the table, and make them then and there. Bring napkins ‘a’ plenty, as these tend to get a little messy! 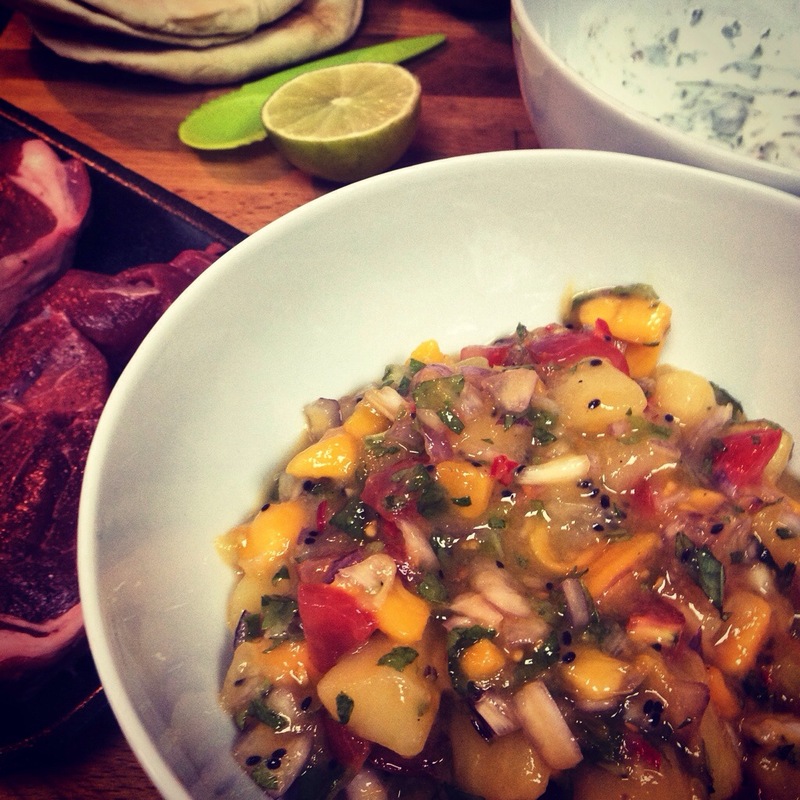 This makes enough for 4 people, and you should have leftover salsa for next day dipping. 1/ Throw all salsa ingredients into a bowl, and mix until fully combined. 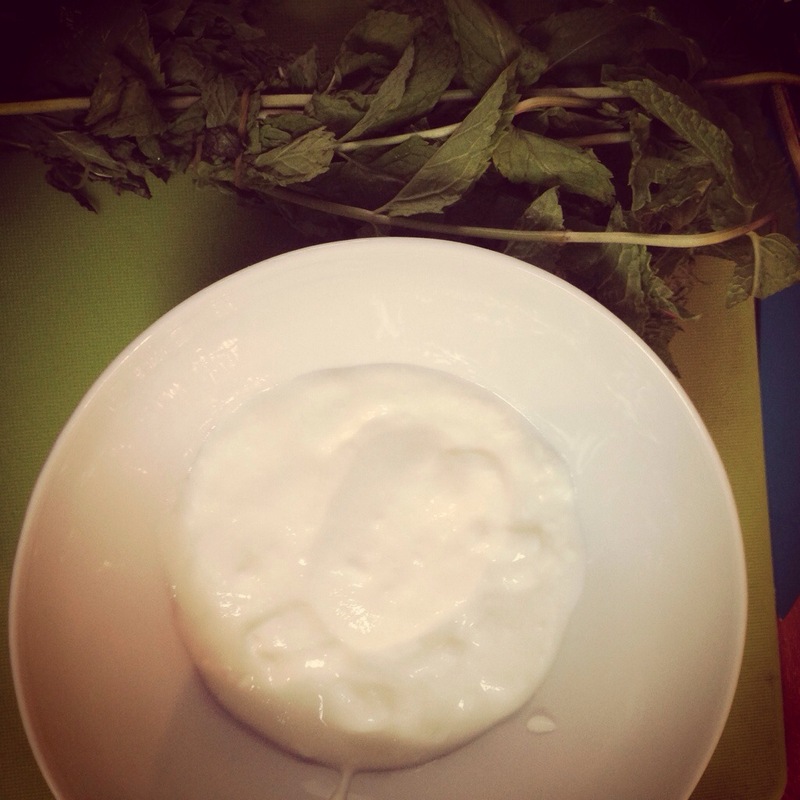 2/ Mix together mint yoghurt ingredients. 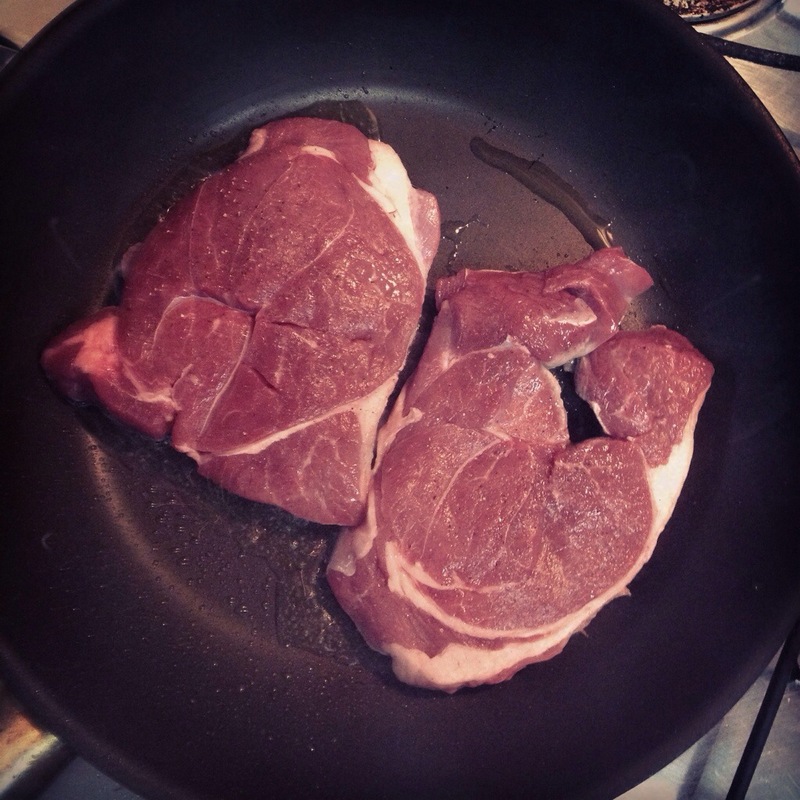 3/ Season the lamb steaks with salt and pepper, and place in a hot pan. I like mine medium/rare, which took about 2 1/2 mins on each side. Leave to cool/ rest for a few minutes, before slicing. 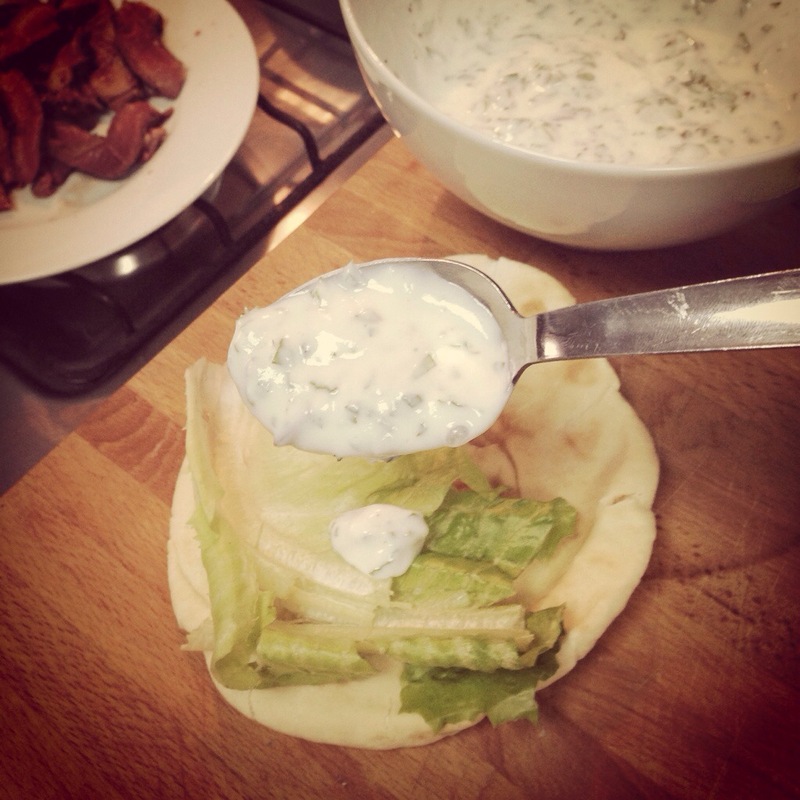 4/ Grab your chums, and construct your wraps – bread, lettuce, mint yoghurt, lamb, then salsa. 5/ Allow them to rock your world. p.s. To stay up-to-date with more of my recipes and culinary adventures, don’t forget to follow #CAKE on Facebook, Twitter, and Instagram!